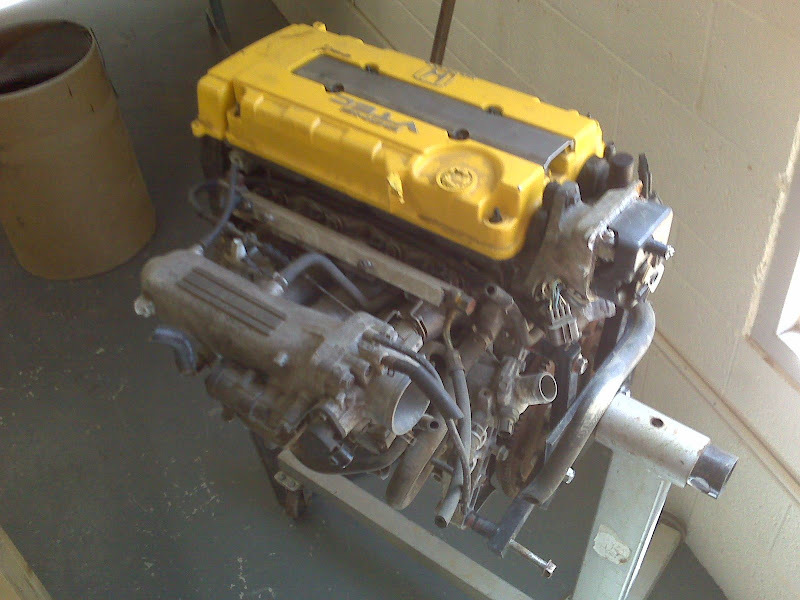 I've got up for sale today a VTEC B16A engine and transaxle that's been sitting in my shop for a couple of years now. It is dusty and dirty on the outside, but it spins free and has good compression. This engine was going to be used in the back of one of my La Bala mid-engine tube-frame cars, but I've been going with a lot more horsepower lately and this engine and transaxle combo is just taking up space at my shop. 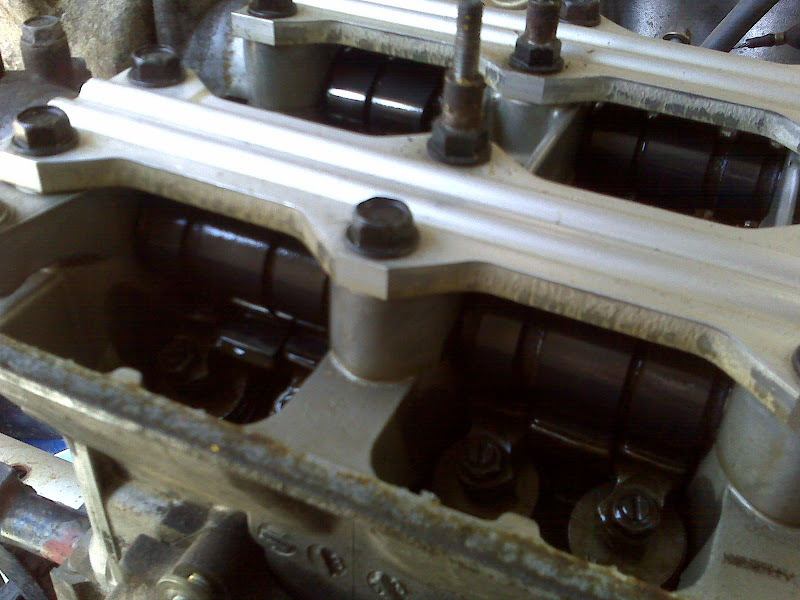 You can see from the photos that the engine is dirty, the distributor is broken and will need to be replaced, but with some elbow grease to clean up the block and a few new accessory parts, this little jewel of an engine should run great. You know the specs, 8K rpm and 160 hp, right? I've got the ECU that came with it as well as the 5-speed transaxle with rod actuated shift, the exhaust manifold and downpipe, and a bunch of other items in a box, but no wiring harness. I really don't know too much else about this engine since I am not a mechanic and not a Honda guy.... Please feel free to ask relevant questions. I am asking $750 plus shipping and I can crate and ship for probably around $200 in the USA but will need to get an address for a good quote. Thanks and if you want to see what a La Bala mid-engine component car looks like, please visit www.grabercars.com (http://www.grabercars.com).